When the topic of bamboo is discussed, the issue of invasiveness often arises. How safe is it to introduce bamboo species into a country, and what are the risks? 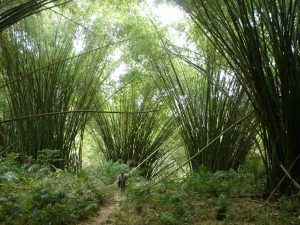 As one of the key causes of biodiversity loss, invasiveness is an important question to consider in countries which are considering bamboo, such as in Europe and North America. The short answer to this question is that there are some 1600 bamboo species, with a huge variety of characteristics. Bamboo is already used in many countries around the world as a key tool for reforestation, land restoration and poverty alleviation. Rather than avoiding bamboo, we need to better understand which species pose a risk, and how these can be managed. 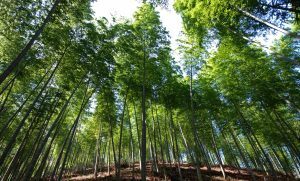 A recent piece of research, commissioned by INBAR and published in 2016, analyses the types of invasive bamboo and the methods that countries can adopt to mitigate these risks. The report shows that, “although some bamboo species are known to be invasive, particularly ‘running’ bamboo species… many are not invasive and pose no threat to natural environments.” Moreover, the main cause of bamboo invasiveness is through intentional introduction, rather than accidentally – meaning that with proper guidelines and management, it is possibly to vastly decrease any threat to the environment. There are two main types of bamboo: sympodial (clumping) and monopodial (running). With a few exceptions, tropical woody bamboo species that are found mostly in the Americas, Africa, Asia and Australia are clumping types and are not invasive. Running bamboo species, particularly those belonging to the genus Phyllostachys, are responsible for the majority of cases of aggressive spread. This is because of their extensive rhizome systems, which enable running bamboos to spread easily and make it harder to remove all parts of the plant. Fortunately, there is a wealth of advice available on how to recognize and manage invasive species. Governments and organisations have access to knowledge resources on the ecology, distribution, pathways of introduction, spread, impacts and management of invasive species. The INBAR report lists a number of strategic resources which stakeholders can consider and summarises some of the relevant case studies from Australia, Japan, and the USA. As the report makes clear, there are a number of easy ways to reduce the risks of bamboo invasion. Prevention is the first line of defence. Preventative measures include outreach and awareness raising – for example, on the types of bamboo that display invasive traits, suitability of species for the stated purpose, and advocating responsible use; assessing the risks of introducing bamboo species by undertaking location and species specific risk assessments; and enacting legislation and regulations have been used by countries to restrict the planting and use of certain species of bamboo. Bamboo is a critical part of many local and national economies. 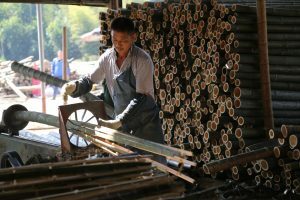 In China, the bamboo sector employs almost 10 million people and trade is valued at USD 30 billion per year. Even in situations where invasive species are present, the risk posed to the environment can be substantially reduced through effective management strategies. For areas where invasive species have taken root, there are a number of options for removal: from digging up clumps and roots, to creating physical barriers which prevent the spread of rhizomes, and the use of specific pesticides. Put together, these methods “substantially reduce” the threat to the environment. 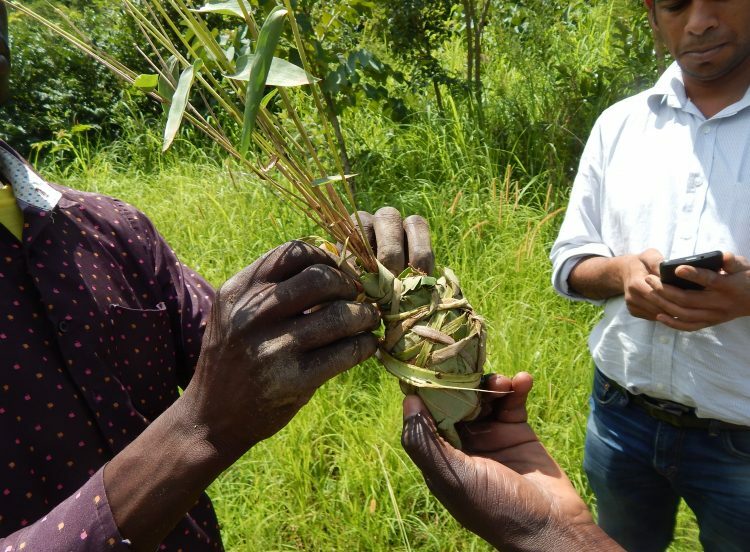 With a spread of over 30 million hectares, growing locally to some of the poorest communities in the world, bamboo can be a hugely effective tool for rural development, climate change mitigation and environmental protection. The sooner countries understand and manage the risks, the sooner we can work to realise bamboo’s full potential for the Sustainable Development Goals. INBAR welcomes anyone with questions to get in touch at info@inbar.int. To read the INBAR-commissioned report, Bamboos and Invasiveness, please click here.